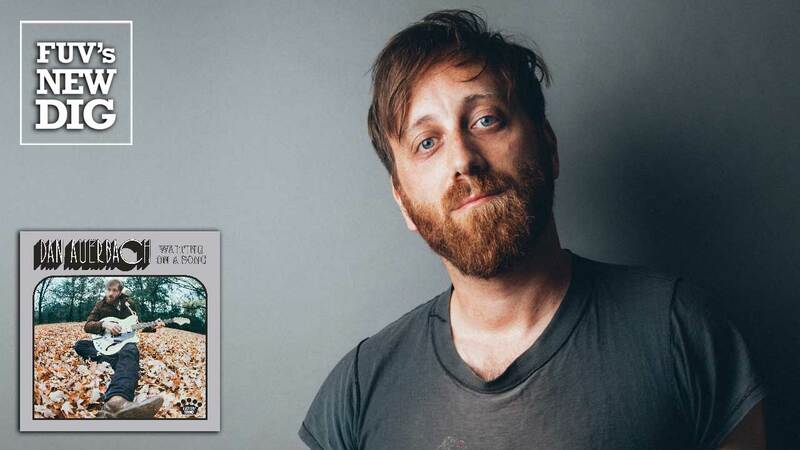 It's taken eight years for the Black Keys' Dan Auerbach to release his second solo album, Waiting On A Song. It's the Akron-bred Auerbach's salute to his adopted hometown of Nashville, Tennessee, where he has lived since 2010. The premise of the album allows Auerbach, who is also a member of the Arcs, to sink his teeth into the city and tap into its musical riches. With the Black Keys and his longtime partner Patrick Carney, Auerbach has crafted a sound and a career by mining vintage blues and '60s rock. From there, Auerbach and Carney have fused everything together into primal, DIY, modern day garage rock. After a handful of albums, the Black Keys refuse to stand pat, evolving artistically, and Auerbach has continued that development on his side projects, investigating the art of the songwriter. What's interesting about Waiting On A Song is how it rolls along with a strong pop sensibility, immediately eschewing any notion that this might be a country or folk-influenced record. While there are hints of these styles, they aren’t the sole focal point. The title track, written by Auerbach and John Prine, is a sunny tune that opens with a hint of Stevie Wonder’s “My Cherie Amour.” Mark Knopfler adds his tasteful touch to the fun “Shine On Me,” an infectious bit of sing-along pop with an affectionate nod to George Harrison version of “Got My Mind Set On You.” The playful rockabilly of “Livin’ In Sin” features guitar legend Duane Eddy. An Al Green and Hi Records vibe permeates “Malibu Man,” a '70s soul pastiche. There are soulful hooks on “Undertow" and Eddy returns on the smooth, string-laden “King Of A One Horse Town.” It doesn’t get much hipper than the mellow funk racing through “Cherrybomb.” “Never In My Wildest Dreams,” with its gentle brass, is as easy as enjoying a glass of lemonade while relaxing on a back porch swing. The album closes with “Show Me,” which combines a Buddy Holly gallop with the same soul overtones that are scattered throughout the earlier songs. It’s wonderful reminder of the pleasant ease Auerbach displays throughout the album. Besides the title track, Auerbach and Prine collaborate on six other songs on the album while Jerry Douglas, Pat McLaughlin and others make contributions. Since 2001, when Carney and Auerbach teamed up to form the Black Keys, Auerbach has built an impressive résumé. He tested the solo waters when he released 2009's Keep It Hid, but since then, he has juggled his time in the Black Keys with an increased workload as a producer. This included overseeing sessions artists like Dr. John, Pretenders, Ray Lamontagne, Lana Del Rey, Cage the Elephant, Valerie June, Nikki Lane and many more. He also put together the Arcs in 2015, releasing one album, Yours, Dreamily. Auerbach has developed a signature sound as a producer, one that is rooted in his experiences from playing in the Black Keys. Now, with his second solo album, he's tossed aside any assumptions of what his music will sound like. Waiting On A Song opens a new door for Auerbach, one that revels in songwriting and the glorious surroundings of Nashville.